Opening hours: Shops are normally open Mon-Sat 9am-6pm, closed over lunch. Banks are open from Mon-Fri 10am-4pm, but usually stop changing money at 2pm. The larger shopping centres are open Mon-Sat from 10am-10pm and from 2pm-8pm on Sundays and holidays. 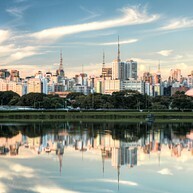 São Paulo's very own Central Park boasts over 2 million square meters of green space. The best way to explore it is to hire a bike. On Sunday mornings there are free music concerts in the Praça da Paz; the Museu de Arte Moderna, the superb Museu Afro Brasil and the OCA Auditorium are all at Gate 3. 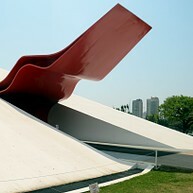 This is a masterpiece of Brazilian modernism designed by Oscar Niemeyer. 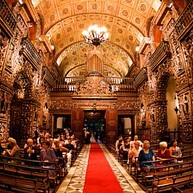 Be sure to visit the Art Gallery and the Hall of Creativity, a museum dedicated to Latin American folk-art. 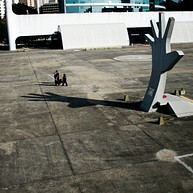 Do not miss the giant hand with a blood-red map of South America etched upon it. A museum dedicated to telling the story of Brazil's African-descended population, the largest outside Africa. Here you will find a vibrant and intelligent celebration of the culture and achievements of the African diaspora complete with plenty of art and some stunning photography exhibitions. A magnificent building in Higienópolis is the venue for major international exhibits held in the impressive Grand Hall and the wings. You will also find some of the big names of Brazilian art here including Portinari and Di Cavalcanti. 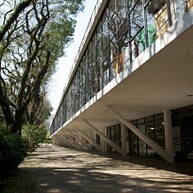 MAM in Ibirapuera Park might be small, but it is one of São Paulo's best museums to see modern work by emerging and established artists. Here you will find everything from paintings and sculptures to video installations. 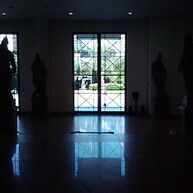 Outside is a serene sculpture garden that is perfect for relaxing post-visit. 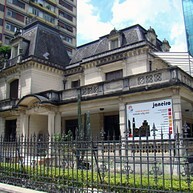 One of the best-curated art exhibitions in the city, Pinacoteca does an excellent job of displaying some of the best Brazilian artists from the 19th and 20th centuries. The centerpiece of the impressive collection of sculptures includes a statue by Raphael Galvez called O Brasileiro. This imposing 14-tower neo-gothic church in Praça da Sé has a crypt containing the remains of Tibiriçá, a native Brazilian who helped the Portuguese in 1554. True to its colonial roots, the impressive doorway has decidedly tropical details like crocodiles that sit alongside the traditional saints. The Casa das Rosas, or ”House of the Roses” is a French-style mansion with gardens inspired by the Palace of Versailles. Built in 1935 by famous local architect Ramos de Azevedo for one of his daughters, the building was home to the same family until 1986, when it was made a municipal landmark. Designed by German architect Richard Berndl, the incredible Mosteiro de São Bento houses an enormous organ with about 6.000 pipes and an image of the Kasperovo Virgin covered with 6.000 pearls. Visit on a Sunday for the 10am mass, complete with Gregorian chants from the monks. Located in Parque Ibirapuera, OCA, a space age building designed by Oscar Niemeyer is a must see, even if you do not want to go inside to have a look at the hugely popular art exhibits. 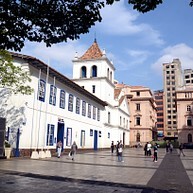 São Paulo was founded by Jesuits José de Anchieta and Manoel da Nóbrega on this site in 1554. The church dates from 300 years later but was built in the same style as the original Jesuit chapel. There are regular exhibits devoted to colonial history and sacred artefacts. 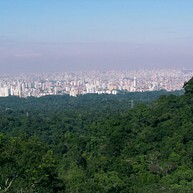 Set in 200-acres of Parque do Estado, the São Paulo Zoo is home to more than 3,000 animals, many of which face extinction, such as the golden lion monkey. Must-sees include the monkey enclosures, built on small islands in the park´s lake, and the Reptile House. 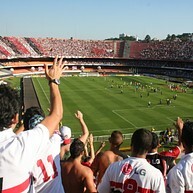 The local team São Paulo Futebol Clube can draw on their 17 million supporters. Their team's home stadium, nicknamed Estádio do Morumbi, might not be an architectural marvel, but it more than makes up in atmosphere during home games with crowds of up to 75,000. If you want a great view over this spectacular city you can go to Pedra Grande, in English called Big Stone Cliff. Here you will find tracks, animals living in the wild and try out outdoor activities such as rock climbing. Pictures taken here truly are postcard-ready. 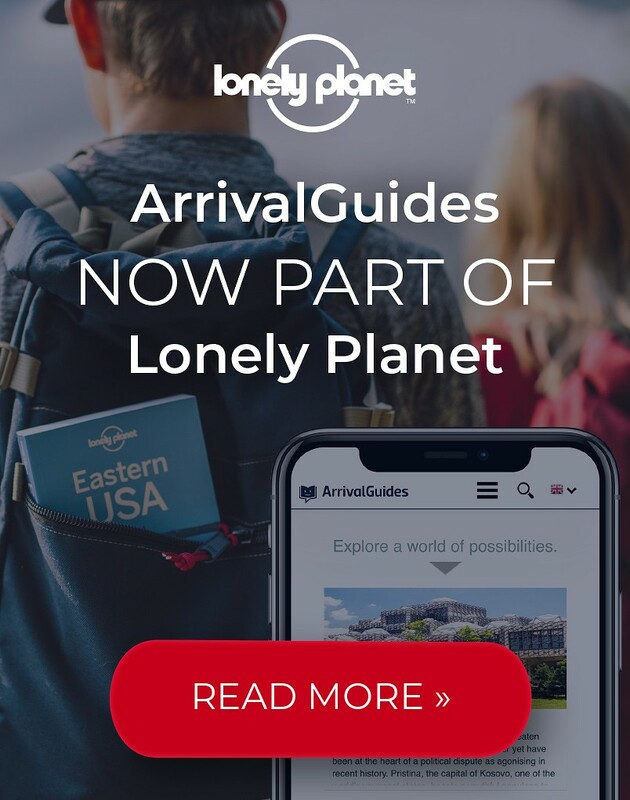 If you're feeling adventurous enough to try soaring up into the sky, São Paulo could be the perfect place to do so on board a hot air balloon. Enjoy this thrilling and once-in-a-lifetime experience while resting your eyes on the beautiful views of São Paulo from above. 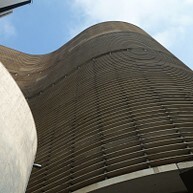 The Copan Building, designed by the modernist Oscar Niemeyer, has became iconic in Sao Paulo. With its serpentine facade and sunshades, it is one of the most unusual architectural monuments of the Brazilian metropolis. A shopping arcade occupies the ground floor.